A lemon quartz ring is a lovely citrus colored piece of jewelry which looks good in a gold or silver setting. It’s ideal for anybody who appreciates a warm, sparkling yellow or pale green shade. High quality lemon quartz is even more sparkly than citrine! This gemstone is typically cut in large sizes. Since it’s easy to cut, it’s not as expensive as other stones of similar sizes. Lemon quartz is mined in Brazil, where it’s the most abundant. It’s a relative of amethyst. Quartz isn’t “cut” in the traditional sense. The facets are actually grinded onto the stone. It first goes through a “pre-form” process which involves the facets being grinded. The polishing process grinds the rest of the stone away. The facets are then smoothed out. Usually, two people are involved. One professional does the cutting and another professional does the polishing. The gemstone will sparkle with a proper cut. Ideally, it the gemstone should be cut so that when anybody takes a look at it, they can’t see all the way through it. When light hits the stone, it should reflect against the facets and shoot back outwards. When choosing a lemon quartz ring, you need to decide on a shape. The stones can be cut round, oval, emerald, pear shaped, heart shaped, trillion, and so forth. Since the material is so abundant, quartz can be cut with a fancy technique. Laser technology is used to cut the stone with concaved facets, or with a “checkerboard” face. The concave cut involves using special machinery to put concaved facets on the face of the stone. This allows for an extra dispersion of light, which gives the stone a brilliant flash. The polish is an important factor of the cutting. There should be no marks on the facets. Unfortunately, a rushed cutting job can result in flaws. Sometimes the best polishing job in the world won’t get rid of the flaws. Another thing to consider is the proportion. The angles of the facets need to be cut evenly. The symmetry of a lemon quartz ring is going to have an impact on the beauty. If a stone is cut too shallow, it will look too cheap. If it’s cut too deep, it will look rough and ugly. Light won’t bounce off the facets properly if the stone has poor symmetry. Since it’s easy to cut in large sizes, you’ll find that 5 carats and up aren’t all that expensive when it comes to a lemon quartz ring. Give your sweetheart a large rock that shines like the sun! Since they’re so affordable, you might want to get her a matching necklace and earrings as well. According to legend, lemon quartz symbolizes well-being and optimism for the future. 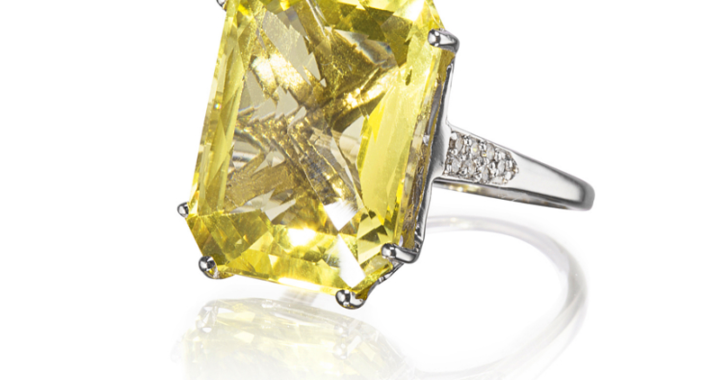 Where can you find the perfect lemon quartz ring? 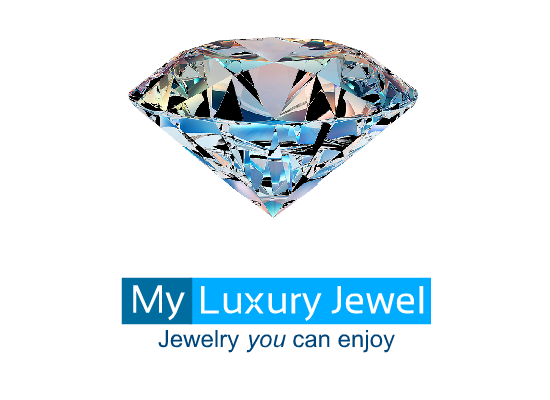 Check out SuperJeweler.com. There, you will find great deals on lemon quartz jewelry, as well as other gemstones and diamond rings. You can save hundreds of dollars! 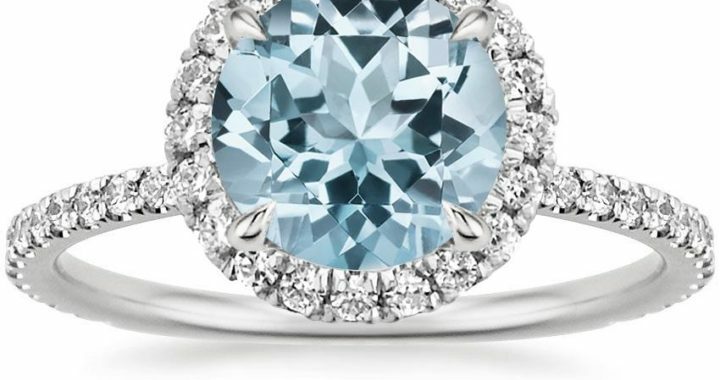 Aquamarine rings are very popular – especially with people who were born in March. 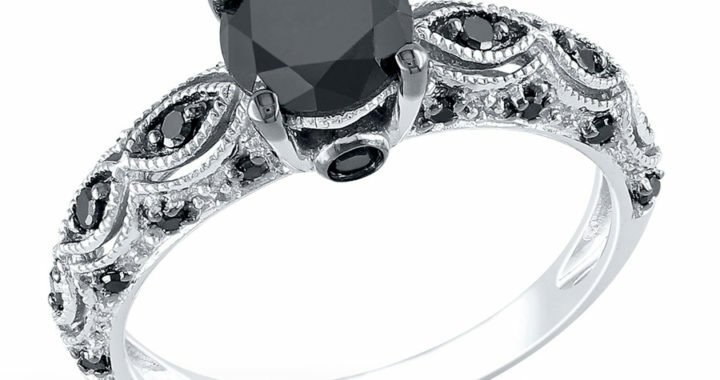 In addition to being a birthstone, it also makes a wonderful engagement ring. The word “aquamarine” is derived from Latin and means “sea water”. The colors give off a sense of peace and tranquility. Traditionally, aquamarine rings were given as a 16th or 19th wedding anniversary gift to couples. Today, it’s common to give them as engagement rings – especially if the gemstone is accented with diamonds! The shades range from pale blues to deep greens. The gemstone is generally heat treated but, other than that, they are virtually flawless. Compared to other stones, it rarely has any inclusions. Thus, it can be cut into just about any shape imaginable, after which it still retains its sparkle! 1. The right cut is essential for displaying the various shades that this gemstone possesses. The brilliant cut in particular showcases all of the colors, as it includes 58 facets. Emerald and oval cuts are also popular choices. 2. Another important factor is the color. The more vivid the stone, the more expensive the jewelry. It’s available in a wide range of blue and blue-green shades, including pastel shades to dark blue shades. The color is most intense in larger gemstones. The smaller aquamarines are less vivid. 3. Choose the ring type. Solitaires include just one large gemstone as the centerpiece. The gemstone can be round, oval, marquise, cushion, or square. Eternity rings feature multiple stones of the same cut and size set evenly around the ring. Cluster rings feature a group of gemstones in a cluster setting, which makes the focal point of the ring. There are also rings with three stones and five stones. 4. 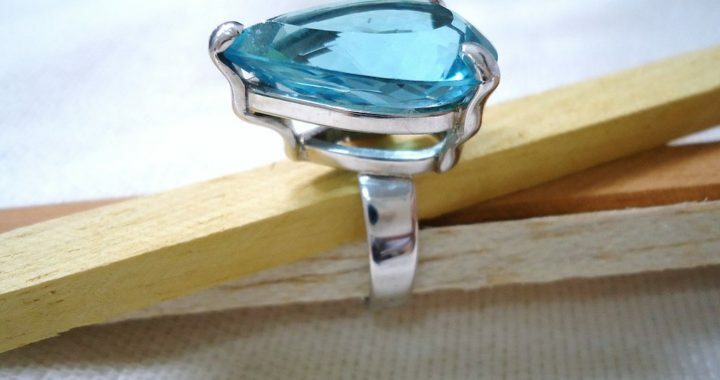 Another important aspect of aquamarine rings is the clarity. As mentioned above, this gemstone isn’t as affected by flaws like other gemstones. Its flawlessness isn’t as rare as with other gems such as topaz and tanzanite. Because of this, you should be able to find a high quality ring at an affordable price. 5. When it comes to the metal, consider the shade of the stone. Lighter shades go well with white gold, sterling silver, or platinum. Bright blue and blue-green shades go best with yellow gold. 6. Want to buy aquamarine rings for an engagement or wedding? For men, go with a platinum ring with a solitary round cut. 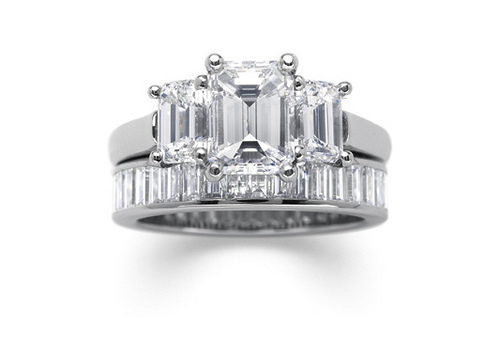 For women, go with a medium-sized princess or emerald cut set in white gold and accented with tiny diamonds. Now that you know what to look for, good luck with your shopping! Want to save some money? 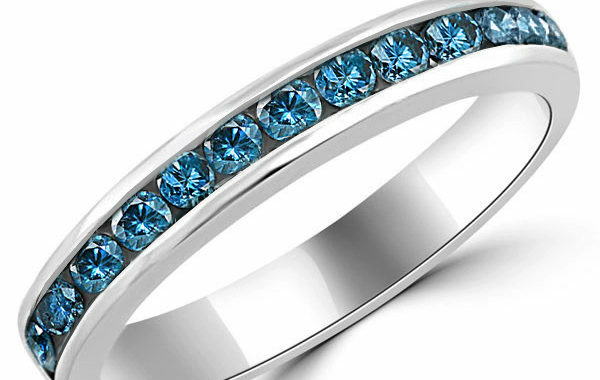 Check out aquamarine rings discounts at SuperJeweler.com. You can find tons of deals on aquamarine rings, as well as necklaces and earrings. You’ll be surprised at how much you can save on gorgeous jewelry! Citrine is such a beautiful and versatile gemstone. It’s part of the quartz family and gets its name from the French word for lemon, “citron”. Citrine rings are very popular pieces of jewelry. In ancient cultures, this gem was believed to increase psychic powers. It sets of a warm amber color which makes the jewelry ideal as a gift. The shades go well with just about any type of clothing. It’s easy to match citrine jewelry with any outfit, regardless of your taste. The shades include yellows, browns, and oranges. There are a variety of rings available in different sizes, styles, and cuts. 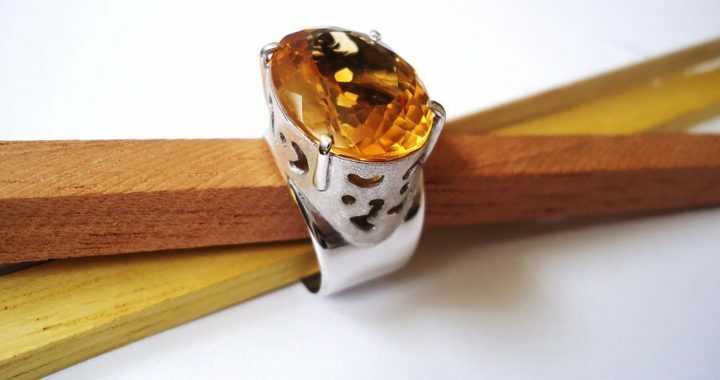 The great thing about citrine rings is that they are fairly affordable. It’s possible to find a large stone without going over your budget. Since it’s a form of quartz, it can be cut into square, oval, round brilliant, or cushion shapes. It can also be combined with other stones in the creation of rings. The rings can be custom-made. You can choose the cut and metal. 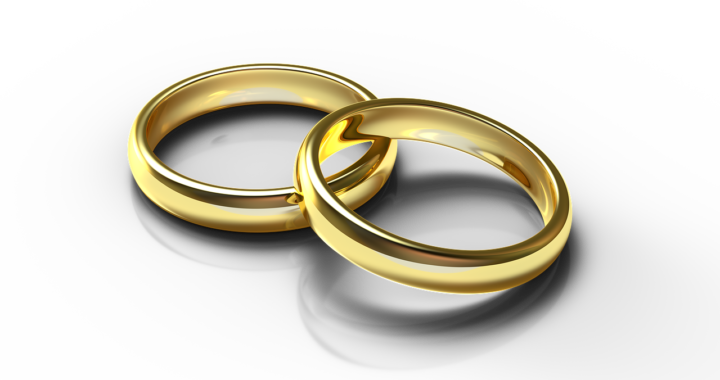 The most popular metals are yellow gold and white gold. 1. Always remember the 4 C’s: carat weight, gem color, diamond clarity, and cut. Which shade of citrine do you want? What is the highest clarity you can afford? 2. Don’t confuse the cut with the shape. The shape describes whether the gemstone is square, round, heart, princess, etc. The cut describes how well-cut the shape is. 3. Since there are large amounts of citrine available, it’s easy to find a well-cut stone. If the light seems to escape through the bottom of the gemstone rather than sparkle back at you, then it’s a poorly cut stone. 4. With a mediocre cut, some of the light escapes through the bottom, although the stone still sparkles more than it would with a poor cut. Some of the facets overlap with a mediocre cut. 5. With a perfect cut, the light reflects in a dazzling sparkle. The facets are all even. A well-done fancy cut is highly artistic, and includes concave facets. 6. As for color, you should avoid citrine rings that are too pale. This gemstone is meant to have vibrant color. 7. Lemon citrine, while popular, is still pretty cheap. If you can afford to do so, go with a light yellowish orange or a dark burnt orange. 8. As for size, larger citrine stones usually cost more than smaller ones. There are exceptions, of course, depending on how clear and vibrant the stone is. Average sized citrine is around 6 ct. A large size is around 10 carats. Large citrine rings range from $300 – $700. The best place to find citrine rings discounts is at SuperJeweler.com. 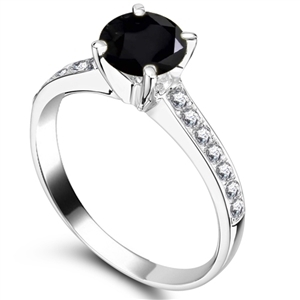 Whether you want to buy an engagement ring or a birthstone ring, you can choose from a variety of styles and cuts. Along with citrine rings, there are plenty of other gorgeous rings and necklaces at SuperJeweler!